Breathing is one of the most commonly dysfunctional movement patterns today. In other words, nowadays “normal” breathing IS dysfunctional! 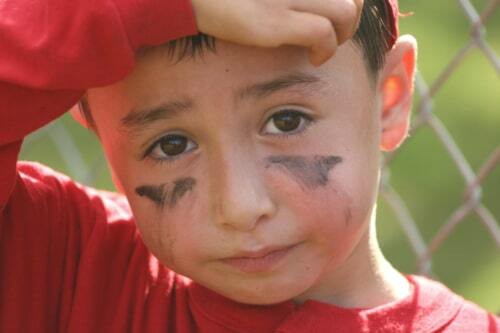 Injuries to certain areas of the body, playing a one-sided dominant sport (i.e. baseball and softball), and imbalanced training (without proper flushing of waste by the lymphatic system), can build a shorter breathing pattern, which can cause a constant drip-drip-drip of the fight or flight response throughout the day. One of my hitter’s dad asked me what physical training I recommend outside of a busy baseball and football schedule, and I said either Yoga or Pilates. 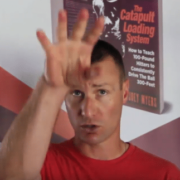 I HIGHLY disagree with most hitting coaches putting ORGASMIC emphasis on explosive, Olympic, Cross-fit, or whatever else type of performance training out there. 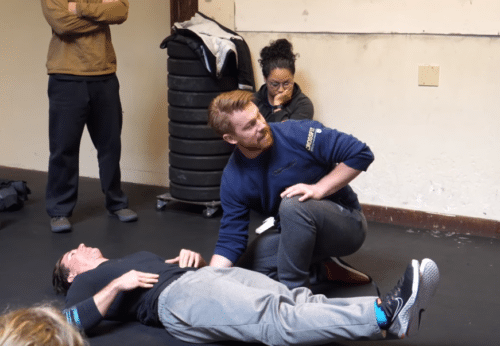 Don’t get me wrong, there’s a time and place for physical training geared for performance, but corrective maintenance training SHOULD precede performance – if we want healthy moving athletes. If you put fresh 80,000 mile tires on a Lamborghini with a misaligned front end, then you’ll be lucky to get half the miles out of the tires! Also, the tires won’t be your only problem. “Anatomical breathing match refers to the natural matching of the inhalation and exhalation with extension and flexion of the spine/body. Extension facilitates inhalation and flexion facilitates exhalation. As the body gets compressed (flexion) exhalation dissipates the pressure and extension assists in opening the thoracic area to assist in inhalation. In addition, anatomical breathing can be used in stretching where the exhale is used to enhance the relaxation into a stretch. And lastly, gratitude is the antidote to bad stress, check out the 5-Minute Journal (I use also). Move better, perform better. Enjoy! In short, when it comes to a speedy recovery, ice IS NOT nice. And we’re not talking “immigration” here. Those cold little cube things you grind up and put in your Margaritas, yeah, that “ice”! Contrary to what most think, ice causes a back-flow of waste in the lymphatic system (waste management), and actually STOPS recovery. That’s right! Ice stops recovery. How so? I know, I know, ice numbs the area and makes it feel better…temporarily. Just like Ibuprofen, but guess what? That’s even worse!! They’re examples of ineffective band-aids, not a definitive solution to the problem area. 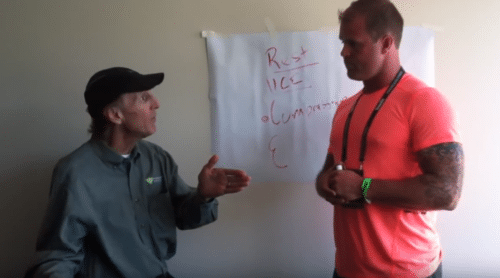 MobilityWOD.com’s Dr. Kelly Starrett (on the right), interview MarcPro.com’s Gary Reinl about how “ice” is not nice. …we MUST look beyond supposed ice bath benefits because the key to a speedy recovery is muscle stimulation. Gary and his simple solution (not cheap by the way) to a speedy recovery jumped on my radar after I watched the above video quite a few years ago. We’ve all been drilled to use ice to help reduce inflammation. Even conditioning us to follow the R.I.C.E. method to recovery, whereas 75% of the equation is irrelevant, slows healing, and even STOPS it (hint: the “R”, “I”, & “E” letters in the acronym). The video above gets more into this. 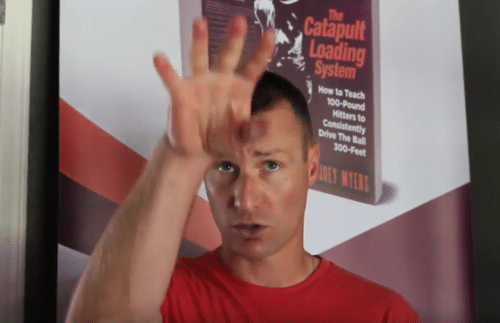 Gary Reinl is to a faster recovery like David Weck is to improving systemic strength and power concentrating on Tensional Balance and Rotational Power. Let that sink in for a moment…researching ice bath benefits isn’t the answer. So stop it! I ear marked some notes for you from the video above. Enjoy! At about 3:40-min mark, is icing not good? Depends on what you’re using it for, you want less inflammation – why do you want less? You’re better at regulating the body’s own natural inflammation response? Swelling goes away by circulation and lymphatic system (set of one-way bags), it’s the muscle contraction/movement that squeezes waste out. At about 7:30-min mark, does compression work? Yes, but it’s not the best method. Manual stimulation? Yes, but it’s not the best most effective method. At about 8:15-min mark, what about the R.I.C.E. method? RICE is not nice! Rest, Ice, Compression, Elevation. 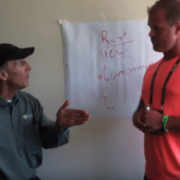 Resting is NOT pushing waste out because muscles aren’t contracting. Ice makes you numb. What’s your goal. Ice causes back-flow of waste. It stops recovery. Ibuprofen is worse because it prevents the signal to push out the waste. There can be inflammation without healing, but there cannot be healing without inflammation. At about 14:00-min mark, 3 phases to healing: Inflammatory Response, Repair, and Remodel. Prevent inflammatory response, then prevent the other two phases. Compression (low level), okay but not better than activating muscles surrounding injured area. Pain to take IB’s is a “blockage” of their waste management system. Sports Physical Therapists, Chiro’s, Massage Therapists, Rolfers, Fitness Trainers, etc. Learn teamwork, leadership, taking and receiving feedback, etc. 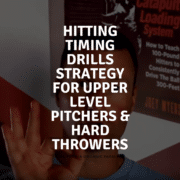 https://hittingperformancelab.com/wp-content/uploads/2018/08/hitting-drills-in-a-small-window-e1533771079479.png 323 500 Joey Myers https://hittingperformancelab.com/wp-content/uploads/2018/05/hitting-performance-labs_c90c0362088ef1d3d528f3078f4f8ac1.png Joey Myers2018-08-09 04:32:012018-08-09 14:48:05"How Do You Have Hitting Drills In A Small Time Window?" 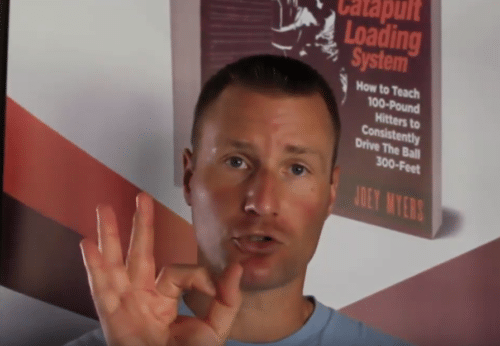 Learning these guidelines will allow you to understand and communicate more effectively with each of your players, or setting them up in similar learning groups. This type of player probably never played the sport before, or not very long. How do you appeal to this type of player? By being direct with your instruction, and having a purposeful direction for them. If you come across this type of athlete on your team at about the 10-12+ year old mark, then a good solution would be to refer them out to a trusted private instructor to “catch them up to speed”. These players may find themselves at the top of your lineup, but may be a part of the hyper-parenting trap. They may be out there to please mom or dad. These players need to be put on a pure praise-for-effort diet (“you put a lot of hard work into that”, “great work”). Whereas before they may have been getting praise-for-effort’s evil twin: praise-for-intellect (“you’re so smart” or “you’re so talented”). Praise for effort will make all the difference. John Medina said one study showed how a scientist once got a chicken to turn the pages of a book – like he was reading it – by using continuous praise-for-effort. True story! Actively inspire and encourage them. This is the “Rudy” of the team. You remember the movie Rudy right? If not, then rent and watch it on Netflix. There usually aren’t too many of these, but when you have one, consider yourself lucky because they can inspire YOU and a whole team. Another movie you can watch to further drill the idea is Radio with Cuba Gooding Jr.
One year when we played Stanford they had an honorary-player resembling the character Warren from the movie Something About Mary. He wore headphones everywhere he went during batting practice. At times, we had to protect him from batted balls when he was on our side. I thought this “player’s” inclusion said A LOT about Stanford’s program. I’m not saying seek out kids with Developmentally Delayed Syndrome for your team, the preceding were just examples. You know what I mean. Use guidance and goal setting with your Rudys. Get them to improve their skills through baby steps and tracking. These are fun players to watch. And you won’t have many of them, they’re kind of an anomaly. They’re ones you don’t have to worry about on the field. With these players you want to make them a part of the decision making process. Practice drills, lineup creations, etc. Assign them to be the bridge between players and coaches. Seriously listen and consider their feedback. They may be the Team Captains, the highest honor of any team. Think of Derek Jeter from the Yankees and Dustin Pedroia of the Red Sox. These players are held to a higher standard, and represent the team on and off the field. But make sure they make good decisions both on and off the field. They MUST be a role model. Some are leaders-by-example, and some are more ‘rah-rah’ in nature. I was a leader by example. I didn’t like being a cheerleader in front of the whole team all the time, and there’s nothing wrong with that. Every player will be wired differently. Take 30-minutes To Get Started With Becoming A “Sticky” Super Coach…You’ll Be Happy You Did! 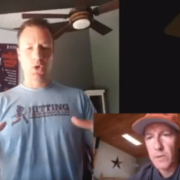 This is Part-1 to the Facebook LIVE conversation I recently had with Bill Masullo, who is the Co-Owner and Senior Baseball Instructor at the Ultimate Edge @ Goodsports. 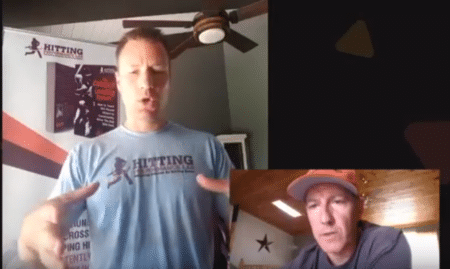 The subject of this interview is complimentary to a recent post I did titled, “Why Fortnite May Be Dangerous To Building Hitters Who Crush”. HEADS UP: there’s some unwanted mic feedback to Bill’s audio when he speaks, should be fixed for the next go-round, our apologies. At the 3:00 mark, address the question of delayed v. instant gratification, in Fortnite you “earn” levels – you can’t “buy” your way to the next level (this is a plus of the game), best athletes or any other successful people in the world are better at delayed gratification. At the 6:20 mark, mentioned Bryan Eisenberg’s book, Be Like Amazon: Even a Lemonade Stand Can Do It , talked about the Stanford Marshmallow Study, talked about the University of Rochester twist to the Stanford Mashmallow Study adding in a credible v. not-credible source. 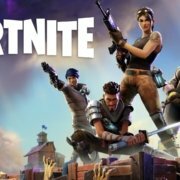 At the 11:15 mark, should we “ban” Fortnite, video game aggression studies in the book Pre-Suasion by Dr. Robert Cialdini, aggression ONLY comes out on 1-on-1 video game play – not on team game play, “earning” success in Fortnite is great, but success can happen so fast in a video game whereas the physical part of learning a motor skill can take more time, above v. below v. average learn-ability, the difference between doing the right things (being effective) and doing those things right (being efficient), working 4-days per week for at least 5-mins per day. 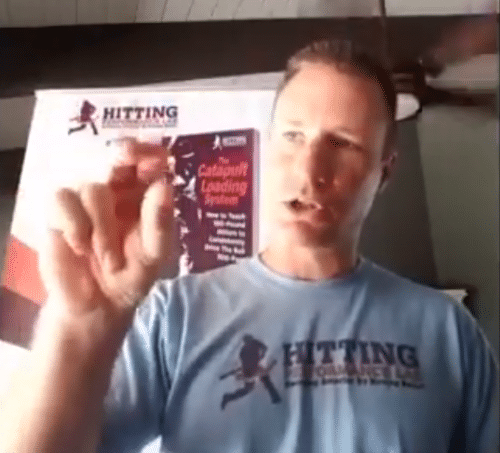 At the 17:45 mark, understand the “reward” is that the movement is correct, difference in feedback we give to a younger hitter versus an older more seasoned hitter, mentioned Daniel Coyle’s book The Talent Code , Goldilock’s Golden Rule to giving feedback to hitters, mentioned Don’t Shoot The Dog by Karen Pryor, positive v. negative behavioral conditioning, when learning something new start with more feedback when they do the movement semi-correctly, and as they get cleaner with the movement, back off the feedback (still give it), but sprinkle in, move to rewarding the BEST movement executions. At the 27:47 mark, Bill was teasing Part-2 of this interview about the effect playing video games and being on the mobile has on the young athlete’s posture and how that in turn effects their swing, “sitting” is the next “smoking”, and lastly WHY should we as coaches care about this. When I survey all my hitters about how long they play Fortnite in a day, I get answers all over the board, from zero to 6-8 hours in a day (on their day off). Dang! On average, it seems 1-2 hours is “normal” daily play time. My sample size includes age 8 all the way up to Junior High and High School athletes (about a 50/50 age mix)! 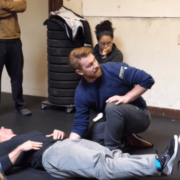 Why should a coach care? Because of behavioral conditioning: delayed versus instant gratification. As you may have noticed, video games have changed since we were younger. They’re more sophisticated. More sticky. More addictive. And studies show, have a similar effect on the brain as Methamphetamine. During video game play, the brain is quickly and consistently being showered (rewarded) by the feel good chemical dopamine. Don’t believe me? Check out the book by Nir Eyal and Ryan Hoover titled, “Hooked: How to Build Habit-Forming Products “. Can you see where I’m going with this? If you haven’t already, check out the above video reenactment of the 1960’s Stanford Marshmallow Study. It’s cute to watch the internal struggle, alone in a room, of a 4 or 5 year old leaving a single soft squishy off-white sugar explosion in your mouth marshmallow, in anticipation of a second one, if they can wait 15-mins. The interesting thing wasn’t so much the physical study, but the effect after the study. 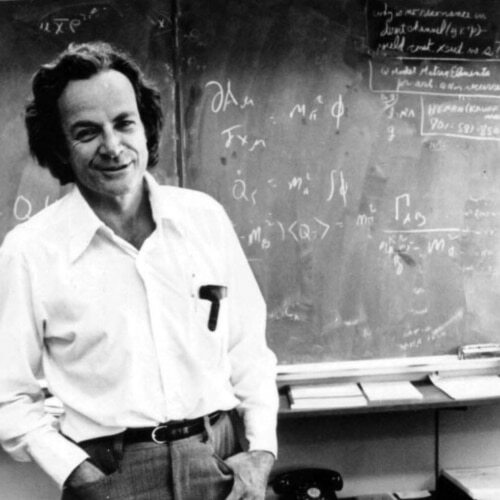 Over the course of 40-years after the original study. They tracked the kids from school to their work lives, and as it relates to delayed versus instant gratification, how things turned out for them was fascinating. What brought the idea of delayed versus instant gratification to my attention was a fantastic book by my friend Bryan Eisenberg titled, “Be Like Amazon: Even A Lemonade Stand Can Do It “. In the book, Bryan references the Marshmallow Study and connects the dots to great business people being experts in delayed gratification (Amazon’s Jeff Bezos as an example). “Before offering the child the marshmallow, the researchers split the children into two groups. …The children in the unreliable group had no reason to trust that the researchers would bring a second marshmallow and thus they didn’t wait very long to eat the first one. Are we Born with Delayed v. Instant Gratification? “…you can train yourself to become better simply by making a few small improvements. In the case of the children in the study, this meant being exposed to a reliable environment where the researcher promised something and then delivered it. Use the “Seinfeld Strategy” to maintain consistency (focus on the process, not the performance). 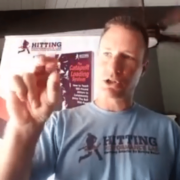 TBall Drills: How To Coach Tee Ball Without Going Insane. (works for all ages of humans – maybe not on Fortnite zombies though).